"I tell you truthfully, no man can defend safely." HEMA is the study of different weapon systems dating back to the medieval period (and sometimes beyond). Courses are structured around particular manuscripts and fechtbuch that historical masters have left behind. At Bastion, our main focus are on medieval German text such as MS 3227A, Leckuchner, Ringeck on Liechtenauer, I.33, Peter Falkner, Talhoffer. While these treatises are the main focus, others such as Fiore dei liberi, Paulus Hector Mair, Sir William Hope and more, would be examined briefly to round out the student's education. 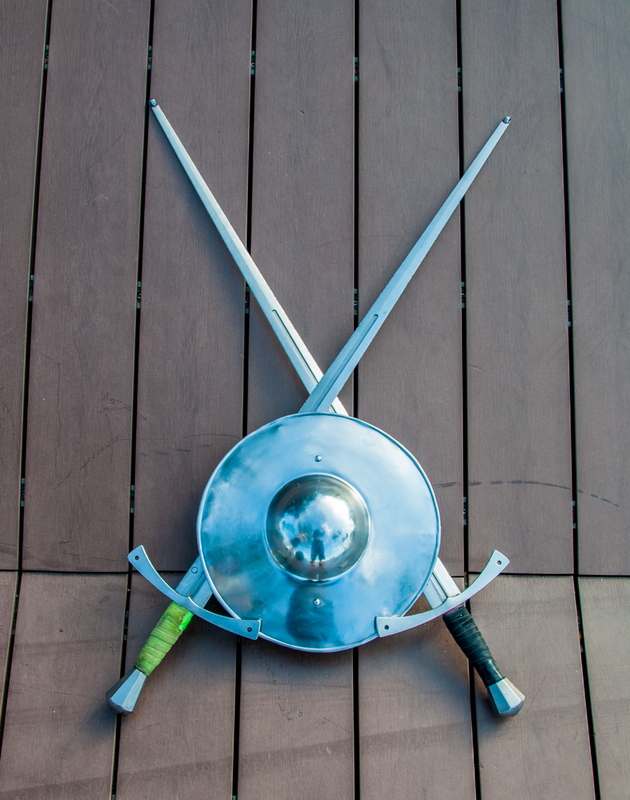 Historical fencing is a great way of connecting the scholarly pursuit of learning from history, together with the adrenaline filled fun of learning on how to handle various historical weapons. We are a Historical European Martial Arts Academy located in Singapore! 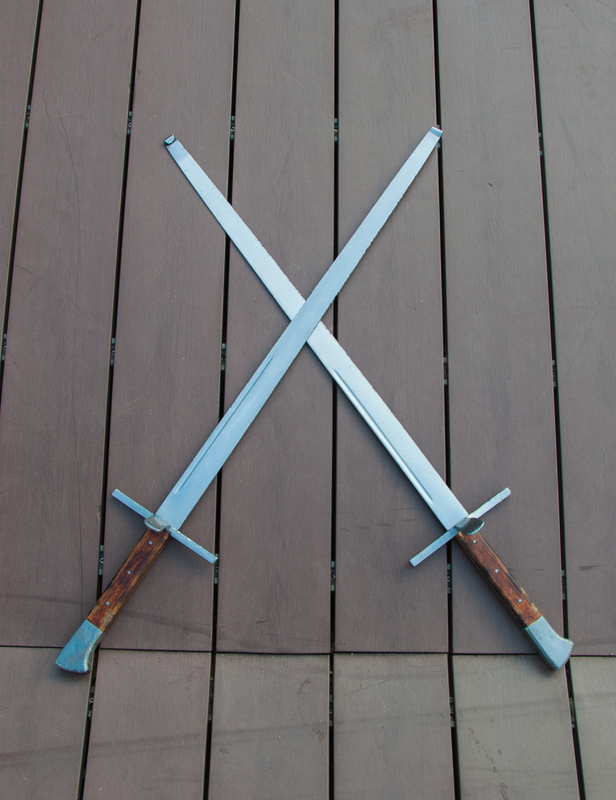 Bastion was founded on the passions of teaching and swordfighting. Our instructors have experience teaching private groups, public lessons, as well as one-to-one coaching. We aim to provide a quality experience, and to serve as an authority in assisting our students to learn more about historical fencing. Our school is a proponent of combining drills and sparring. We believe that through sparring, a fighter can express themselves using the techniques that they have acquired through their hard work. 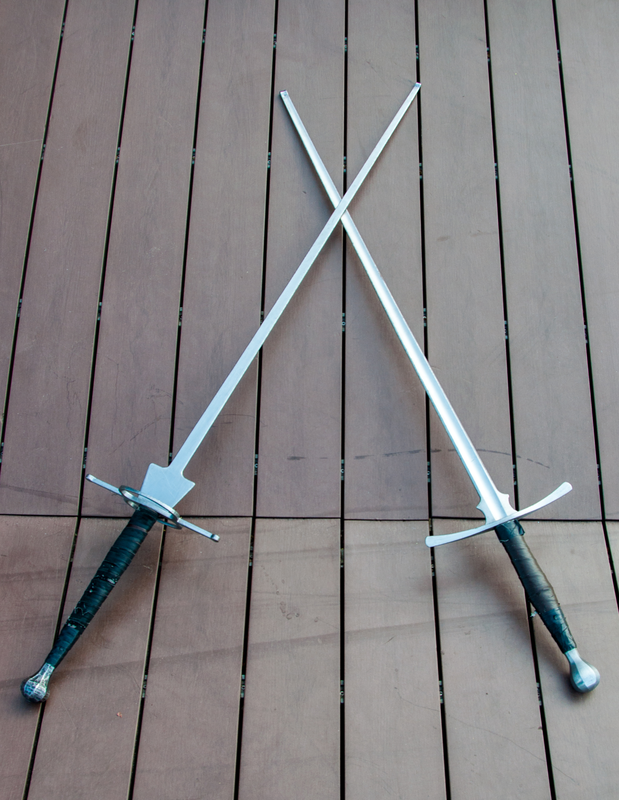 Come join us for a session of excitement filled sword fighting! "It takes courage to face one's equal." The Messer is a weapon of humble origin. Easily forged and adopted for self defence by many during the medieval times. It is a single edged blade, and characterised by the nagel. The Sword and Buckler is a combination of an arming sword or messer, with a buckler in the left hand. It was a popular weapon system during the 14th Century, used by soldiers and civilians alike. The Longsword, also known as a 'hand and a half', was extensively used by knights on the battlefield and in judicial duels. Its usefulness in combating armored and unarmored foes cemented its legacy in history. Lucien Lee always had an interest in swordsmanship. He begun with foil fencing, Krav Maga, and eventually discovered HEMA while studying at university in the UK. He was an assistant instructor at Glamorgan School of Arms for several years as well, and studied under Principle Instructor Dirk Neumann. In his time there, Lucien had taught courses on a number of subjects like Italian dagger, German Messer, Mair's Poleaxe. Prior to moving back to Singapore, Lucien completed his IL1 instructors certification by the British Federation for Swordplay (BFHS). Langley Qu is an avid practitioner of swordplay. She studied under Principle Instructor Dirk Neumann at Glamorgan School of Arms, and had assisted with various courses throughout her time there. Langley completed her free scholar test in Italian Longsword, and enjoys looking at the interesting pictures. She strongly believes that women can learn swordmanship as well as men. ​Andrew Lee has gone from student to instructor under the guidance of Lucien and is a vital part of the team. Andrew had extensive training while he was in the police force and has carried that sense of duty to his teaching and to his students. He has training in Krav Maga as well as baton and single stick. He was with Sheffield Society for the study of Swordmanship while studying at Shiffeld University.